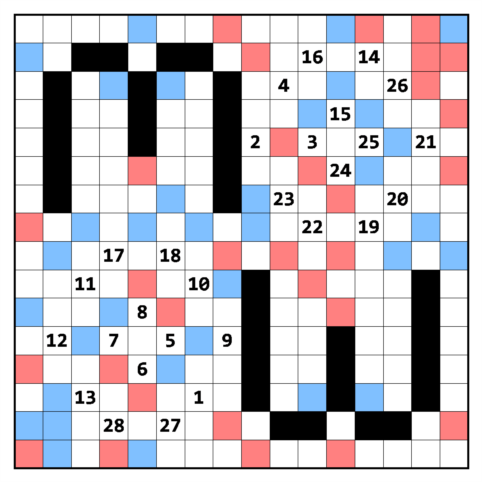 Background: This is Palmer Mebane‘s puzzle. 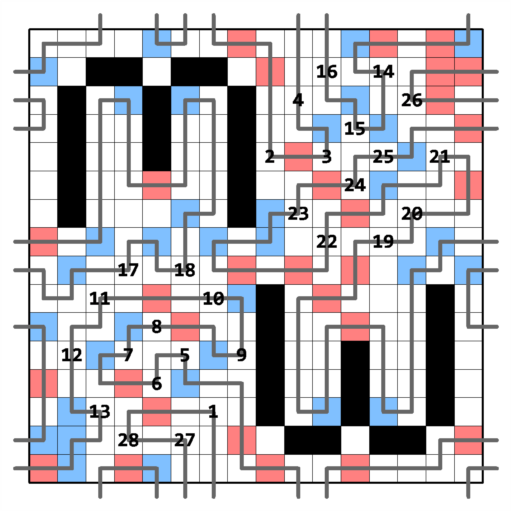 I have prepared some of Mebane’s puzzle types so far, but Endless Labyrinth was none of them. However, a few days ago I made two of them for a championship. Then I said to myself I should make more. I don’t know why Palmer used colours in the puzzle construction, because it is hard to figure the colours out after printing. Of course I’m using only black tones in my printer. Maybe the reason is aesthetics, or maybe avoiding any apparent similarities with Masyu. Anyway, I kept his puzzle construction elements, but I’ve added the same puzzle also with circles. Bu yazı Loop and Variations, Puzzle Blogs içinde yayınlandı ve Endless Labyrinth, Melon's puzzles, puzzle olarak etiketlendi. Kalıcı bağlantıyı yer imlerinize ekleyin.